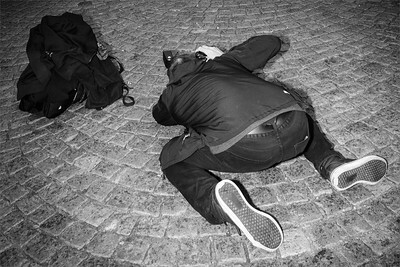 Photos of photographers during their action. Snapshots. Photo-shooting Techung band musicians during their free day, Charles bridge, Prague, 15 October 2014. 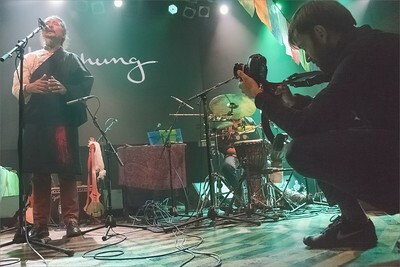 Photographer in action - on Prague stones shooting Tibetan musicians. Shot during day, edited. J.S. Dalajláma učení Praha 2013 - Osm veršů výcviku mysli. HH Dalai Lama teaching Eight verses of training the mind, Sept15. J.S. Dalajláma, učení Osm veršů transformace mysli. 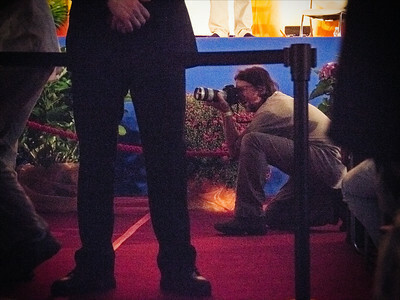 HH Dalai Lama, teaching, Eight Verses of Training the Mind. Happening Tibet nás pálí. Demonstrace pro Tibet 10.3.2013 před čínskou ambasádou. 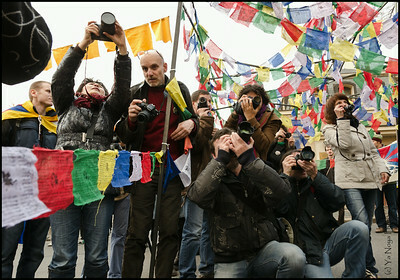 Demonstration for Tibet Prague. Happening "Tibet nás pálí". 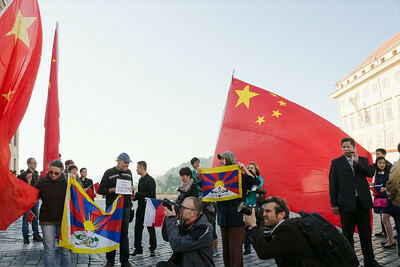 Tibet uprising day - Demonstration in the front of the Chinese embassy in Prague, 10th March 2013.